After receiving an offer from Notre Dame last month, Trey Galloway returned to South Bend a week later to see the Irish in a win over Binghamton. The 2020 Indiana guard had made multiple trips to Notre Dame in the past and once again was impressed. 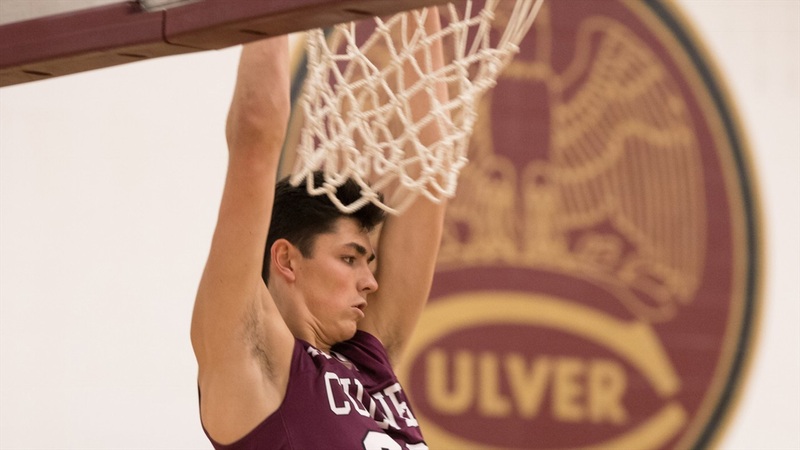 “We always enjoy watching them play,” Galloway’s father and head coach at Culver Academies, Mark Galloway told Irish Sports Daily. “He’s had some tough luck, the Irish have had some really tough luck with injuries,” Coach Galloway added. “We’ve noticed when guys have stepped in. As a coach himself, Galloway liked what he saw. The 6-foot-5, 200-pound Galloway had his eye on the Irish even before they extended the offer. Brey extended the offer after getting a chance to see Galloway play in person. “Coach Brey said, ‘I didn’t realize he’s 6-5 and 200 pounds,’” Coach Galloway recalled. “He’s still growing. I think that’s exciting too. In the Big Ten and ACC, when you’re bigger, it’s just better. Brey was also impressed by Galloway’s athleticism, including an alley-oop dunk. “He said, ‘Man, I didn’t see that coming,’” Coach Galloway laughed. Galloway also has offers from schools like Michigan State, Iowa and Butler among others. The Galloways have made plenty of visits over the last several months, including stops in East Lansing, Iowa City, West Lafayette and Bloomington, but as their own season enters the stretch run, unofficial visits will likely be on pause for a bit. Culver plays an extremely competitive schedule, so focus will be key in accomplishing those goals. But when the season is finished, expect Galloway to turn his attention back to recruiting. “I think it’s all about building relationships with those coaches and those coaching staffs,” Coach Galloway said. In addition to Brey, Notre Dame assistant Rod Balanis has helped create a strong bond with the Galloways.